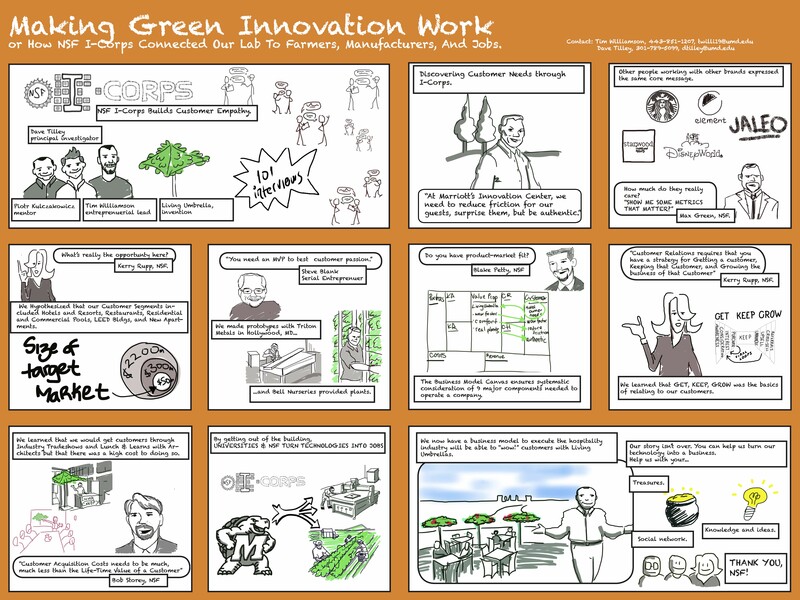 Southwest I-Corps team “Living Umbrella” (Dave Tilley, Tim Williamson, and Piotr Kulczakowicz) was featured in the VentureWell newsletter for their BMC journey Comic Strip featuring the SW I-Corps Teaching team. Check it out! Dave Tilley, Tim Williamson, and Piotr Kulczakowicz of Living Umbrella created a comic that shows just how the NSF I-Corps™ Program helped them create a successful business: by making the team get out of the building, conduct 101 customer interviews and find out what customers really needed. Follow the team as they use the Business Model Canvas to guide their startup, ultimately turning university technology into jobs.